worshipped and served their God. Each Columbarium site (105 total) consists of an engraved granite cover (steel plate underneath) over a walled niche slightly under 11" tall by 8" wide and 14" deep which may contain either one OR two non-degradable urns (the only additional cost for placement of the 2nd urn is the granite engraving charge). Maximum dimension of each urn is 10" high x 6 1/2" x 6". Columbaria niches may be reserved on a pre-need basis by an individual or family, or purchased upon death, providing spaces are available. Granite engraving will be in a uniform font and include only the name of the deceased, with dates of birth and death. The cost of engraving and opening and closing of the niche is included in the contract for purchase of inurnment rights. Cost: A niche in the Memorial Garden will be only $1,000 (a very modest price compared to the average cost of a conventional burial today which is approximately $7,000 or more). The only cost to put a second urn in the same niche will be $150 more for granite placement and engraving. It is not intended to be a fundraiser, so the purchase price will include what is necessary for the inception of this service and maintaining the beauty of the Garden into the future. The Memorial Garden is designed to be a peaceful place for family and friends to gather in love and remebrance and a place for meditation and prayer at any time. Memorial Garden Donors: A section of wall in the garden will hold memorial plaques available for memorial or honorary donations of $500 or more. A permanent plaque for each donor will state "In Memory of" or "In Honor of" or "To the Glory of God" by (engraved names). There are also several projects/physical items planned within the garden that can be purchased as memorials. Applications: All members and their families who are interested in reserving a niche may fill out a form which can be obtained at the church office or picked up in the back of the sanctuary. Upon receipt of the form and the appropriate financial consideration for each person to be inurned, the Church will issue a receipt and contract as Certification of Reservation. 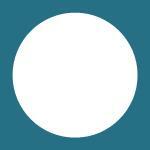 This Reservation may not be transferred to another person by will, intestate succession or otherwise (legalities will be covered in the contract). The Memorial Garden and niches remain the property of the First United Methodist Church. 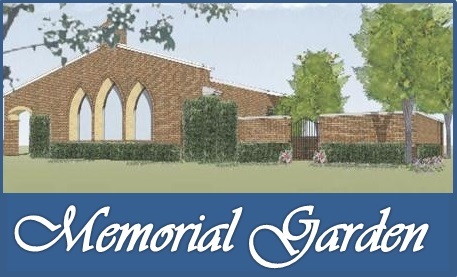 Upon approval of the Memorial Garden Committee, if your plans change, a niche may be sold back to FUMC for the orginal purchase price (less the cost of any granite engraving if applicable). *If you have already made burial plans or have a pre-paid contract but wish to be in our Memorial Garden, you may be able to make changes. . .check with your funeral service provider. Another consideration would be for you or your family to purchase a memorial donation plaque for the Garden. To ensure the dignity of a Christian burial, only the ordained minister serving our church or an ordained minister requested by the family and approved by our pastor will be authorized to officiate in memorial inurnment services. The Memorial Garden columbaria is available for human cremains only. The Memorial Garden helps us to remember the dead and gives comfort to the bereaved. Inurnment on the church grounds makes a statement about the people unurned there. . .those who choose to do so identify themselves as believers and recognize their membership in the Community of saints, living and dead.